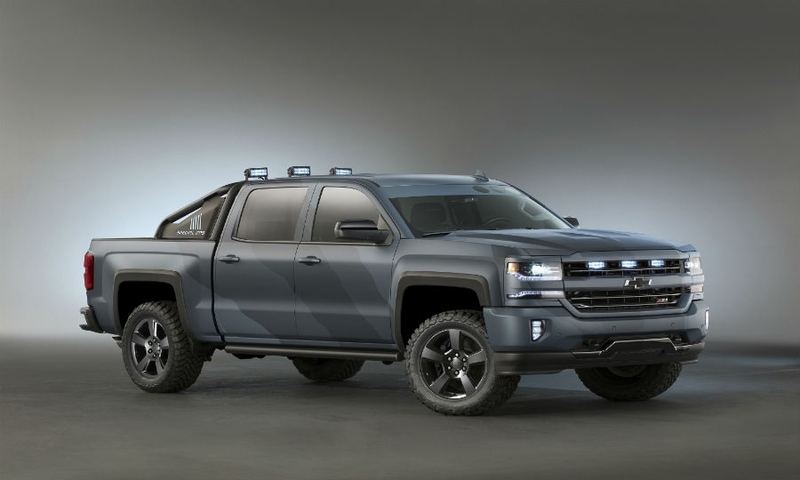 The Chevrolet Silverado Special Ops concept, which is based on a Silverado 1500 Z71, is outfitted with a naval-inspired camouflage package, called “Razzle Dazzle,” a bed-mounted sport bar with LED lights, off-road tires and wheel flares, among other features. 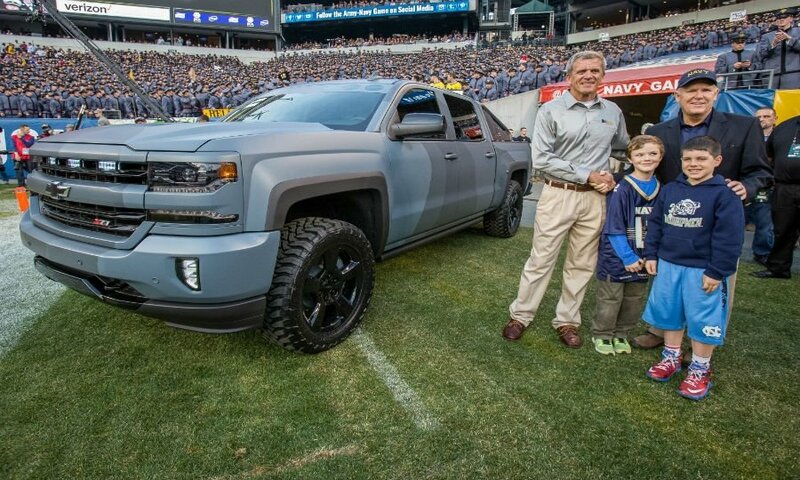 Former GM CEO Dan Akerson (right), a U.S. 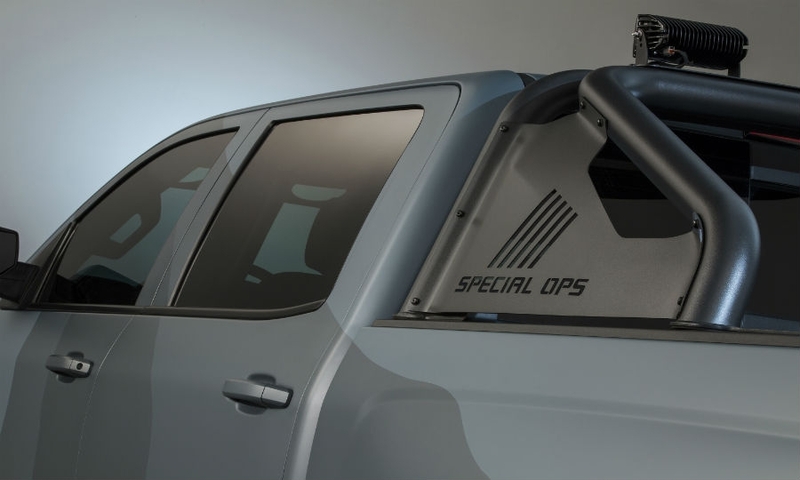 Naval Academy graduate, and retired U.S. Navy SEAL Master Chief and Executive Director National Navy SEAL Museum Rick Kaiser pose next to the Silverado Special Operations. 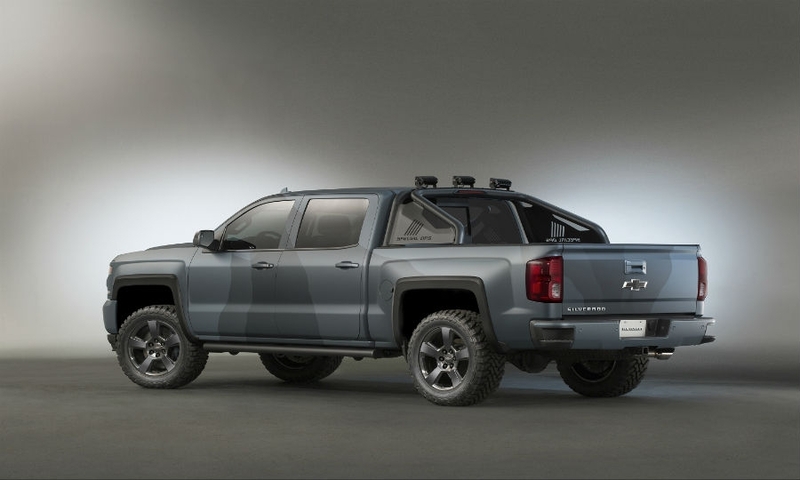 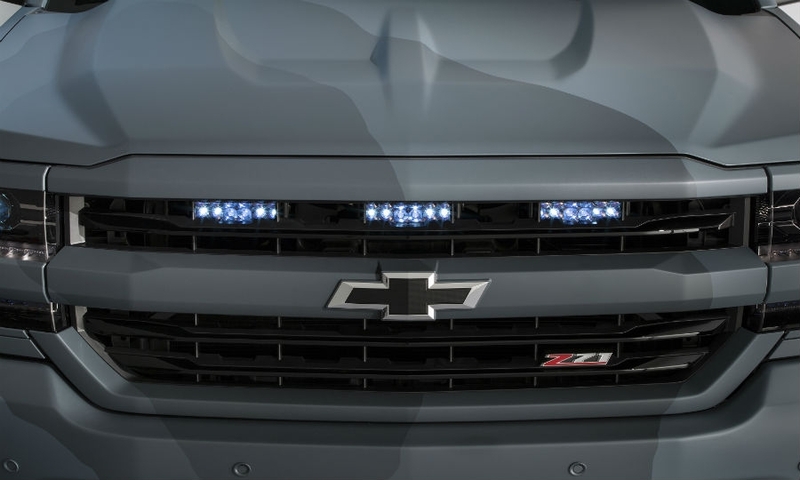 Chevrolet says the Special Operations Silverado, which debuted at SEMA, will be a limited production model and is expected to go on sale this spring.